11. A current colored aerial view of Wien and the surrounding area taken from the south west. Rumor has it that Bob took this from his army surplus helicoptor--but maybe not. 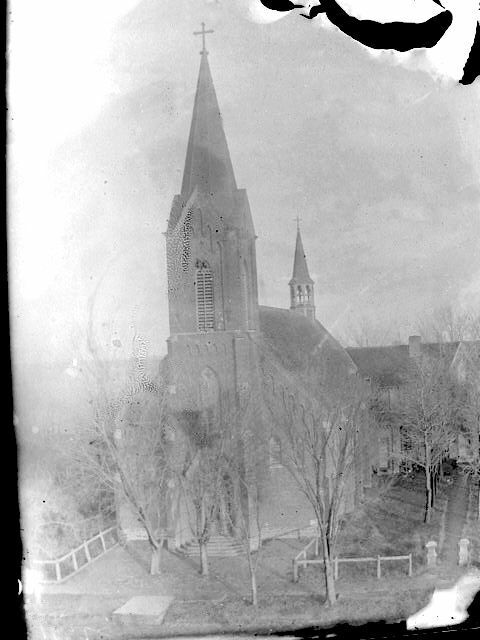 On the far right of the photo is the Schumacher home and out buildings, St. Mary's Church and it it's left, the old school building, now called Share 'N Care. The large body of water is Cletus Steffes' Lake. 12. 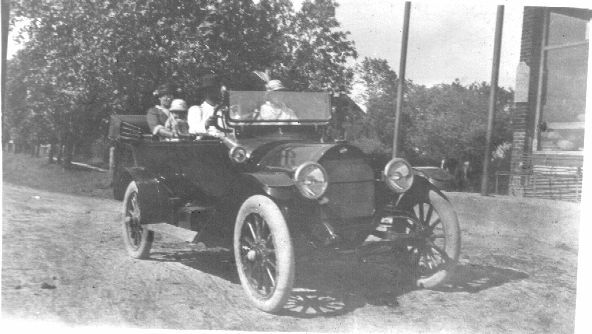 William Becker's Empire auto pulling up to Schumacher's store. In the car are _____ Becker at the wheel, and ___ in the back seat. 13. William Becker and his two sons, little blond-headed William, and Anthony (Tony) standing at the north door to the Schumacher store. 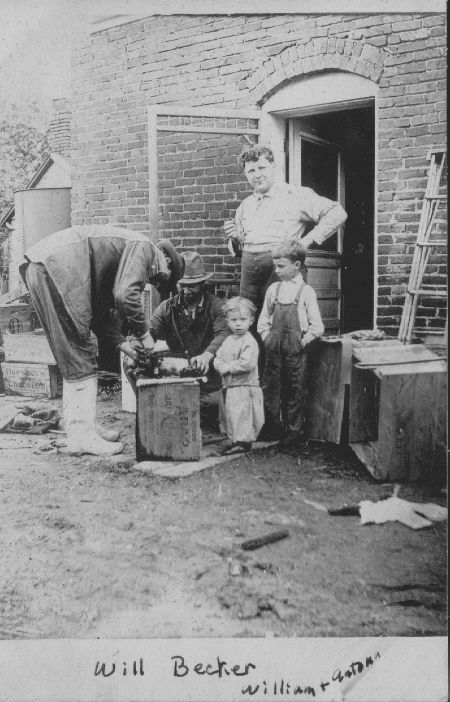 Workers are thought to be Rudolph	Nelson, and Joseph Schumacher with the boots. 14. 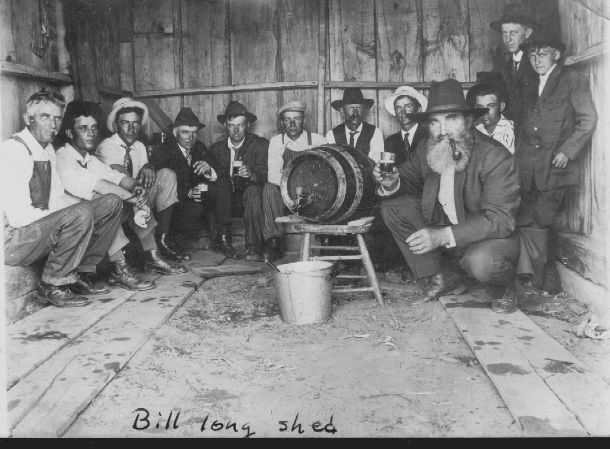 A group of guys in Bill Long's shed. Are any of YOUR relatives here? 15. 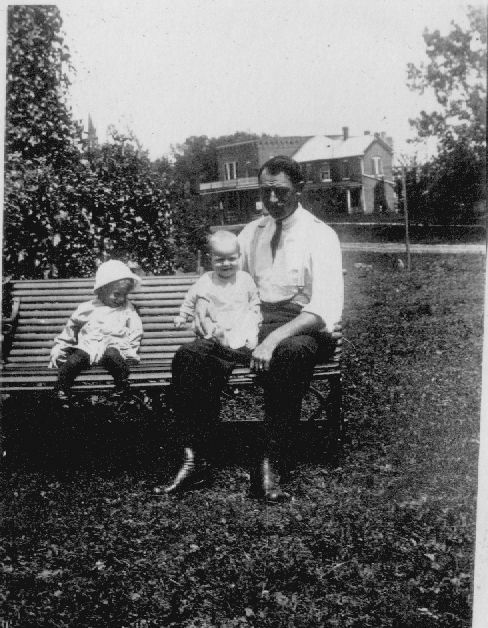 Joseph J. Schumacher and his two oldest children, Florence on the seat, and Robert on his knee. The Schumacher store is in the background. 17. 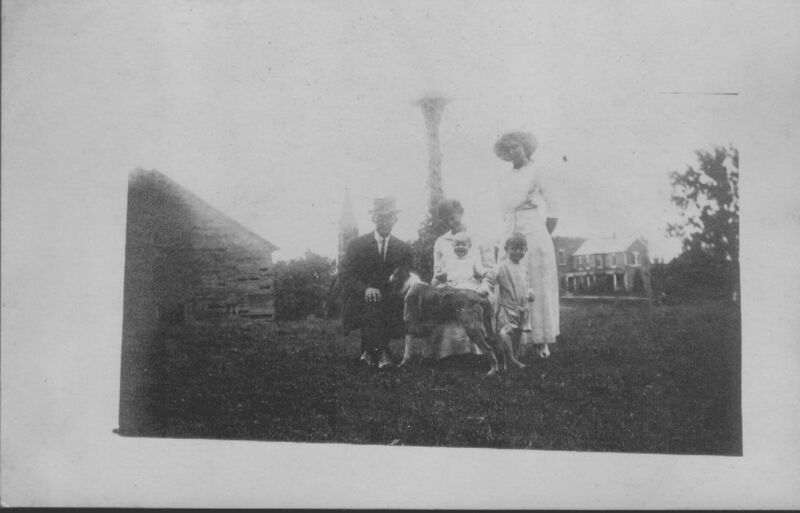 Joseph and Frances Meinhardt Schumacher with _______, children, and dog named Sport. 18. Showing off the horse. 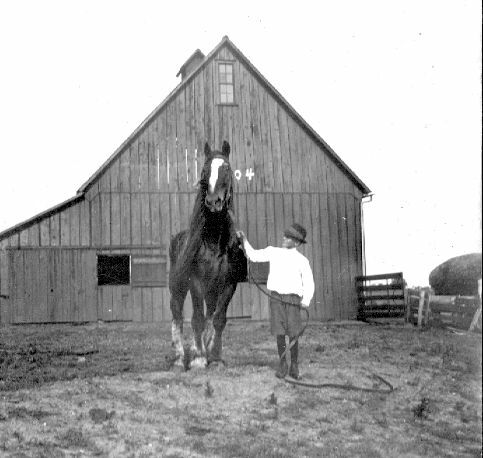 The owner of the horse is thought to be Joseph Meinhardt, and the barn is one built by the Carl Meinhardt family on what is now the Edna Clark home. Lightning struck and burned down the barn which was built in 1904, and replaced prior to_______. 19. 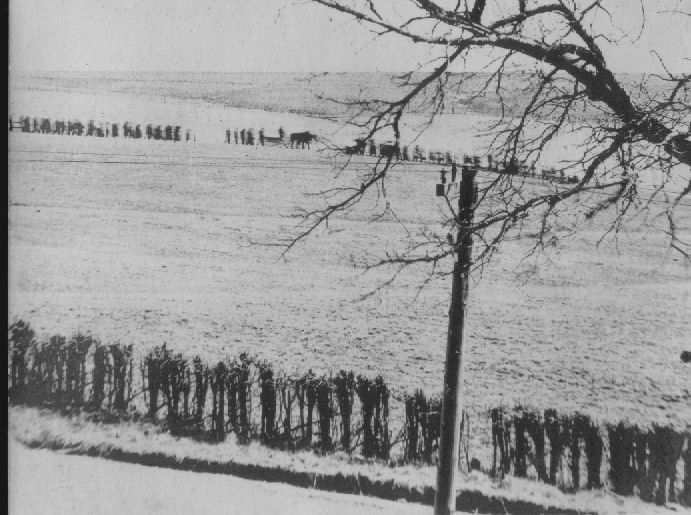 Funeral procession through the field to the Wien cemetery. 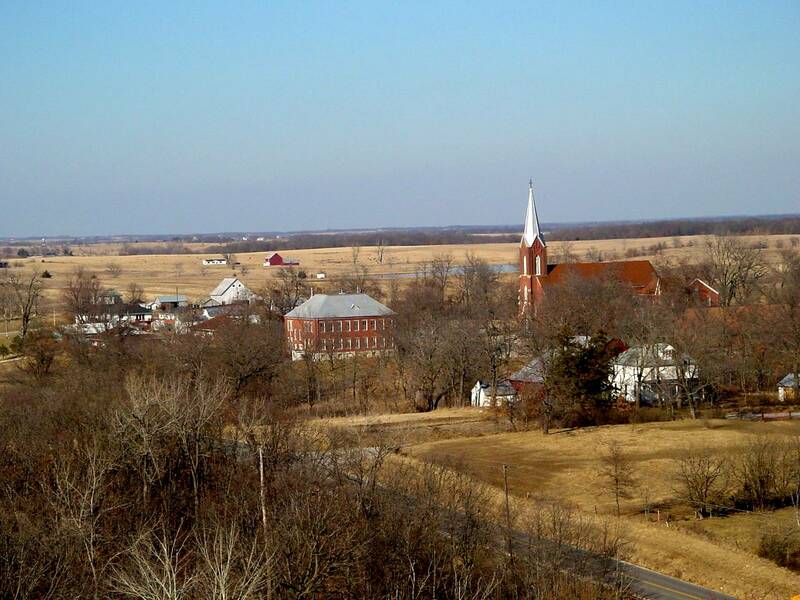 The road in the foreground is Highway 129. The route taken through the field was planned when the cemetery was laid out to be exactly the length needed to say the five decades of the rosary. 20. View from the top! 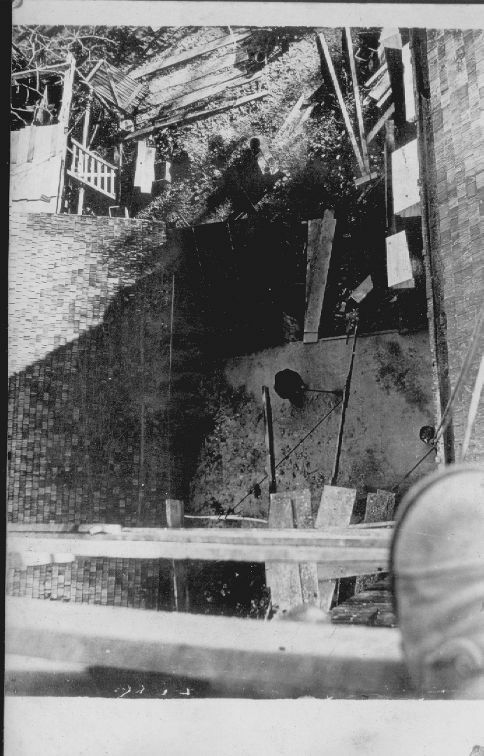 Grandpa John Meinhardt shows the viewpoint of a rooftop carpenter. 21. 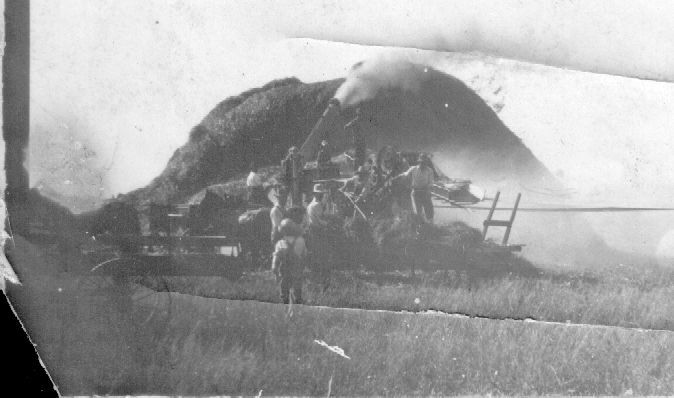 Threshing with the old steam engine (possibly Schiltz and Meinhardt's)The steam engine is in the foreground at the right. 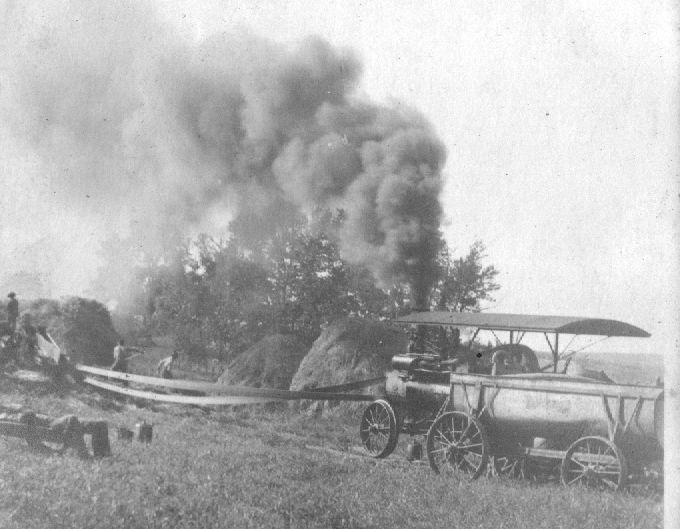 Horse drawn wagons brought water to the steam engine to keep it going.